Hellaby Hall Hotel in Rotherham has hit the market as part of a portfolio of properties whose owners went into administration. In May, Prima Hotels was one of a number of connected companies and hotels to call in Ryan Grant, Lee Causer and Catherine Williamson, of AlixPartners Services UK LLP. Keeping operations open, the administrators took on the management of the affairs, business and property of the companies and appointed Legacy Hotels & Resorts Ltd to manage the day to day affairs of the hotels as their disclosed agent. Now leading property agents, Savills are marketing the portfolio, comprising four trading hotel properties, for sale and inviting offers in excess of £18m. The four properties are also available as individual assets. Martin Rogers, director of regional hotel transactions at Savills, said: "This portfolio of regional country house hotels provides a diverse mix of bedroom, dining, conferencing, health and leisure facilities. Each is well established within its market and has a strong trading record, making them an excellent investment as either a portfolio or individual assets." 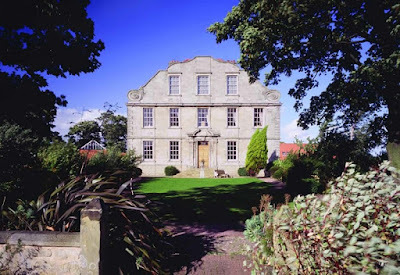 The 4 star hotel at Bramley includes 89 rooms in the converted 17th century house of Ralph Fretwell, who made his fortune planting sugar in Barbados. The Grade II * listed building is a popular location for weddings, functions and business. It also includes conference facilities, a restaurant and health & leisure club with two gyms, a swimming pool and health spa. Prima and its group of companies was restructured in 2012 after a fall in revenue and funds were provided from the bank, AIB. In December 2014, the group identified a further requirement for funding as result of a delayed hotel refurbishment and an unsuccessful legal claim. After approaching the bank again in January 2015, administrators were called in to assess the long term options for the group. AIB is owed some £24m by the group. The value of the hotels is set to be maximised by selling them as operational and the administrators have already been approached by a significant number of external third parties expressing an interest in one or more of the hotels. Whilst head office staff have gone, all employees based at the hotels have been retained and the administrator is not anticipating further redundancies.